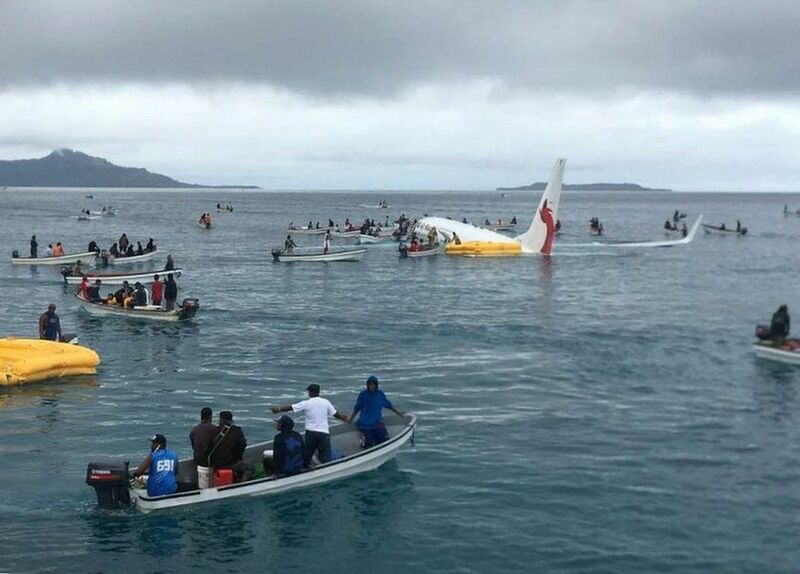 A passenger aircraft has come down in a lagoon off Chuuk International Airport in Micronesia after it missed the runway, airport officials say. 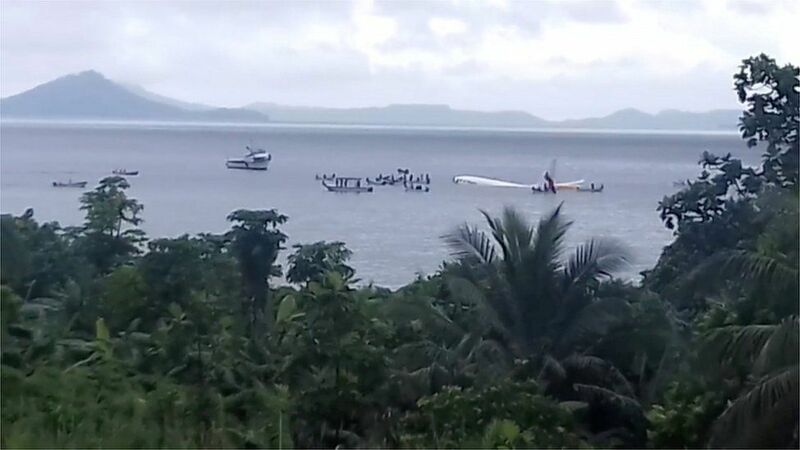 The Air Niugini plane from Papua New Guinea was seen sitting in shallow water just off the coast. 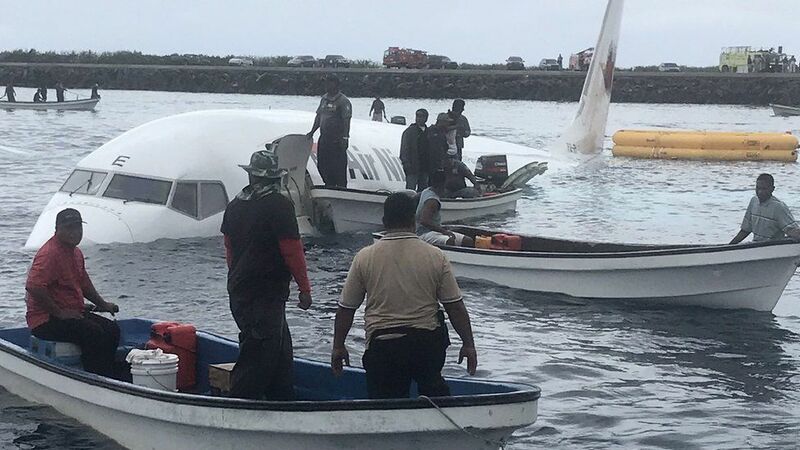 Locals responded by approaching the plane in small vessels to help rescue the 36 passengers and 11 crew. A hospital official told Reuters that four passengers were in a serious condition after the crash. 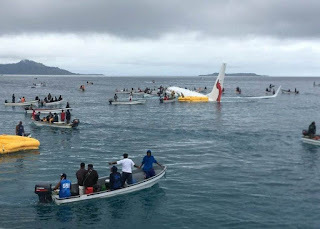 The aircraft was flying from the island of Pohnpei in Micronesia to Port Moresby, the capital of Papua New Guinea, stopping at Micronesia's Weno island on the way. 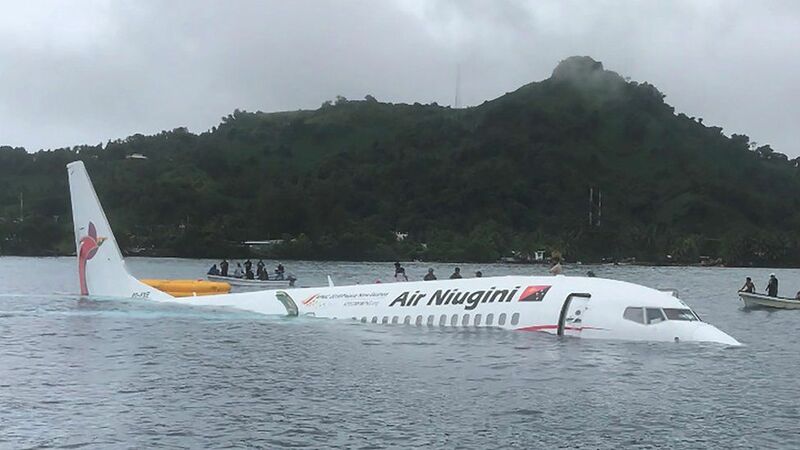 Air Niugini said its Boeing 737-800 had "landed short of the runway" amid reduced visibility due to rain and poor weather. An investigation is due to begin, airport officials said. Passenger Bill Jaynes told reporters that the incident had been "surreal". "I thought we landed hard until I looked over and saw a hole in the side of the plane and water was coming in. I thought, well, this is not like the way it's supposed to happen," he said. Water in the cabin had risen to waist height before rescuers arrived, he added.